The greatest thing about hiking is that year-round you are blessed with beautiful sights the four seasons bring you. Bright and beautiful fresh flowers of spring, lush greenery and sunny days of summer, vibrant fiery forests of fall, and snow-topped mountains of winter all bring us a mix of spectacular backdrops on the trail. Fall and winter hiking can present extra challenges such as fewer hours of daylight, colder temperatures, and trekking through snow. 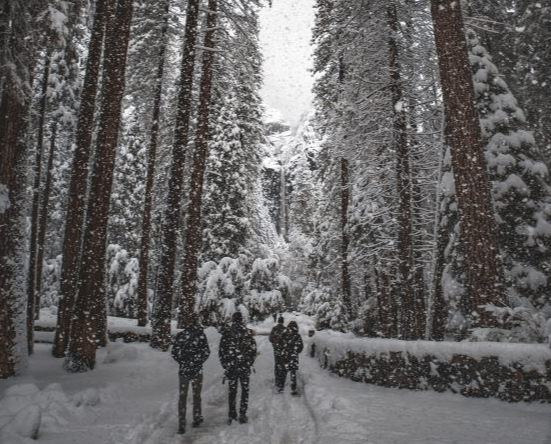 Here are a couple of things to remember when hiking in winter to keep yourself safe and warm. First and foremost, check the weather! You don’t want to get caught in winter snow storm on the trail. It may seem obvious to check the weather, but you want to make sure you have a full understanding by checking daylight hours and avalanche reports to plan your hike for a day when weather conditions are manageable. 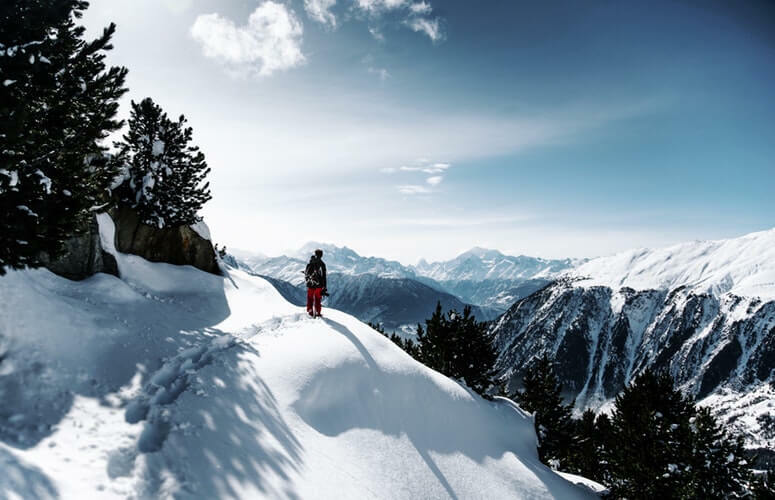 Hiking in winter can prove difficult as the temperatures can vary largely from the base to summit. Dressing in layers like an onion allows you to put on and take off as the temperatures change. Weather can change quickly so keep an insulated jacket, fleece pants, and waterproof jacket in your backpack just in case. Be sure to get some good winter hiking boots that are going to keep your feet warm and dry. Waterproof pants and waterproof hiking socks are a must if you don’t have them already. Take a friend for fun and for safety. Hiking with a friend is always better, especially in winter. Not only is it more fun, but you can share the heavy load throughout your group and in the case that you’ve forgotten something – they probably have it! 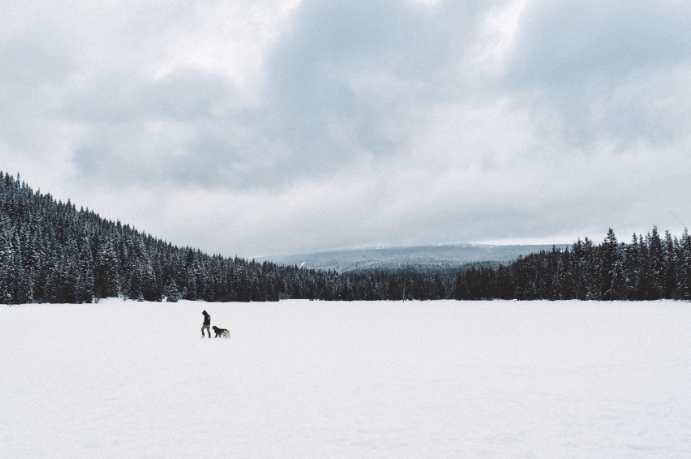 Aside from basic hiking gear, there are a few additional things you should bring with you when going on a winter hike. Always carry a flashlight and extra batteries, whistles and flares, matches/lighter, wilderness first aid kit, and a map and compass or GPS, plenty of food and water. In addition to that, if you are hiking in snow you are going to want to bring snowshoes to make trekking through snow much easier. You might want to bring tea or coffee or some sort of warm drink. Bring something to sit on – like a small piece of foam – in the snow so you don’t lose body heat and avoid having a wet bottom. Keep your hands warm with hot hands hand warmers. You should always be prepared to spend the night outside so pack some sort of shelter and a warm sleeping bag. While it may make your backpack a little heavier, it could save you from frostbite! It’s easy to get lost in the drive to make it to the summit but remember that getting there is only half the journey! You still have to hike back down so be sure to conserve energy for the descent. And if the summit is proving difficult, be prepared to turn back. Focus on the entire trip, not just the ascent. If a situation is proving difficult do not hesitate to turn around! When planning your first winter hike, be realistic. Start small and go from there. 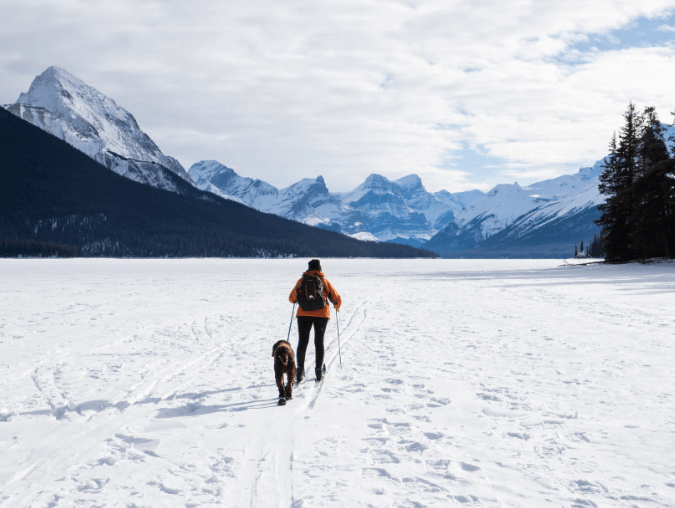 Your favourite trail may be easily done in the winter, but it can be a completely different trek when ice and snow are involved. Winter brings shorter days so make sure you start early so you avoid being on the trail in the dark. ALWAYS tell someone who is staying back where you are hiking, and when you should be back. Now that you’ve gotten the safety measures out of the way, get out on that trail and remember to take some pictures! Happy hiking!